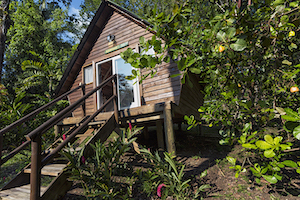 Our cabins with shared bathroom is a great option for people wishing to travel light, all the amenities are available for these rooms, an ideal option in an ecohotel. 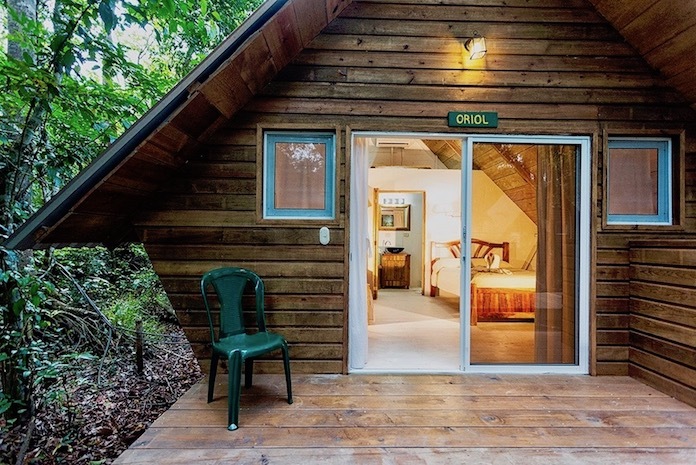 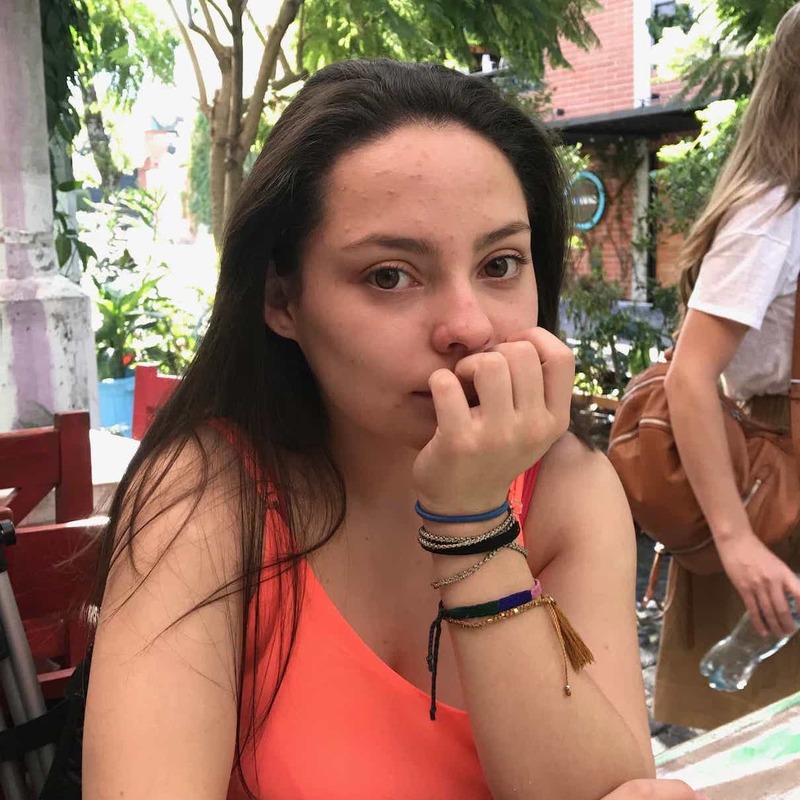 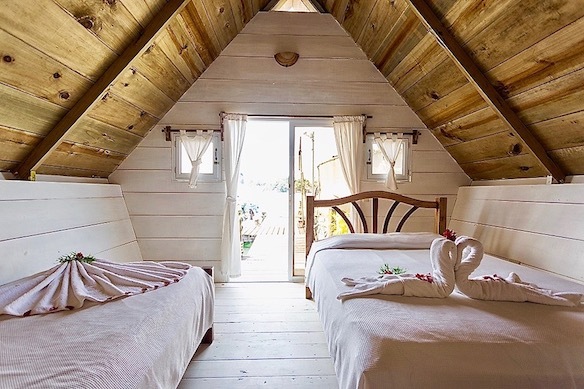 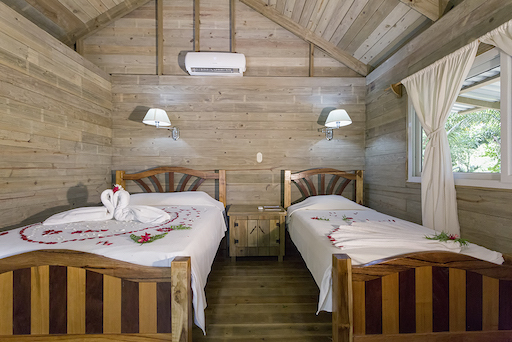 Wooden cabins with air conditioning and private bathroom, very comfortable ideal for 2 people or more, each cabin is a different experience, located on the wetlands, surrounded by nature and sounds of the jungle, a deserving rest, we also have service restaurant. 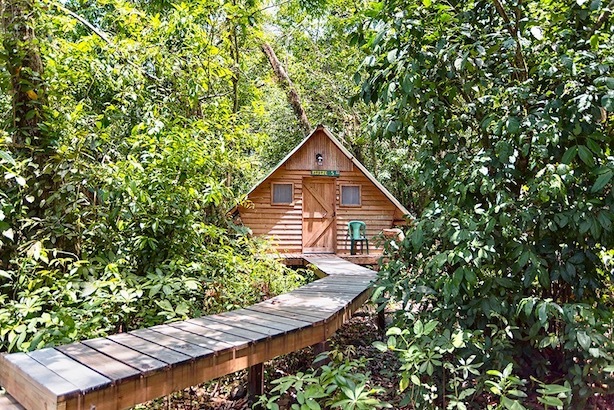 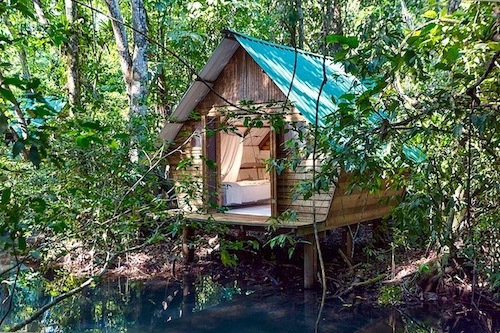 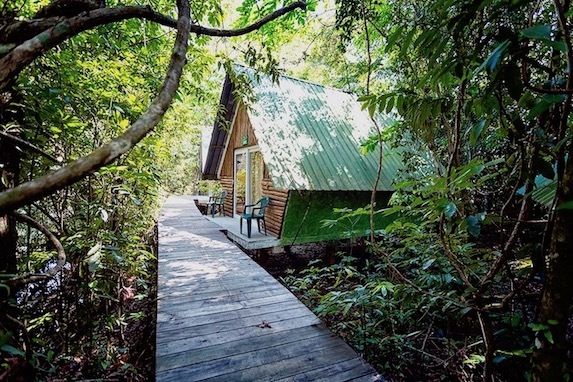 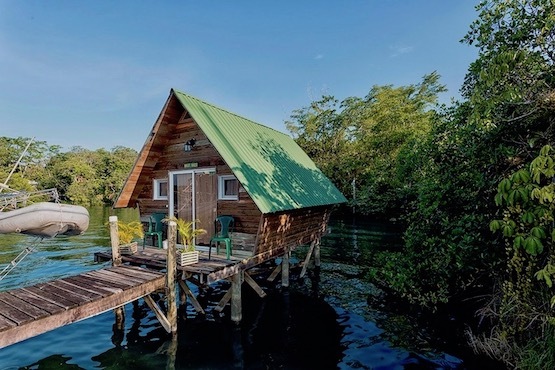 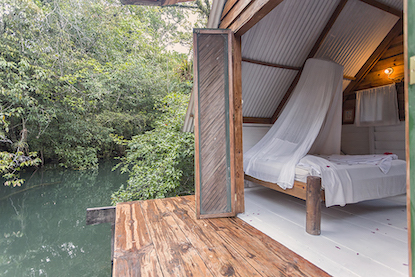 Situated in Tijax's mangroves, overlooking a creek are Tijax Cabins Plus or "Cabañas Plus", which offer comfortable deluxe lodging in a beautiful location. 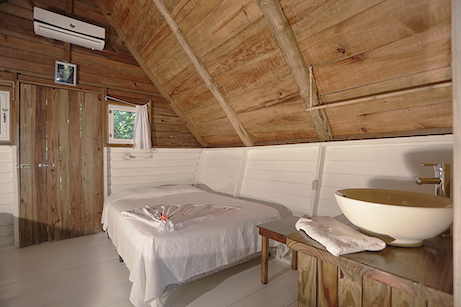 Set beside a beautiful creek, these thatched bungalows provide a most relaxing and comfortable atmosphere. 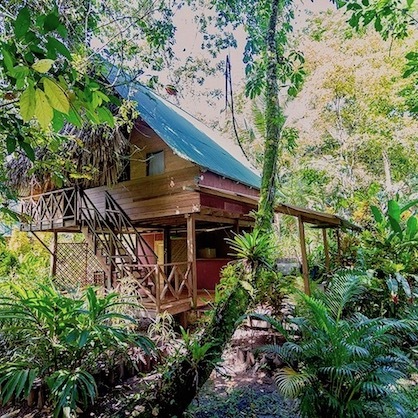 This, being a two story bungalow with several components to it, has everything you need for a perfect vacation and will make you feel just like home. 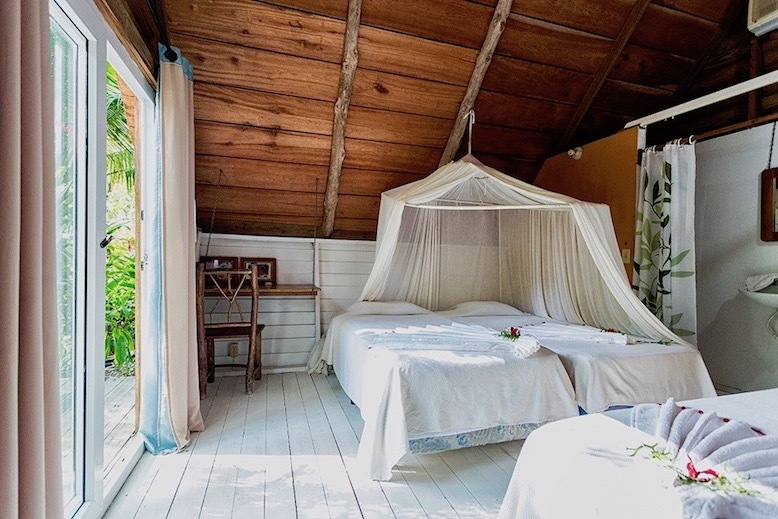 and hammocks compose the first floor. 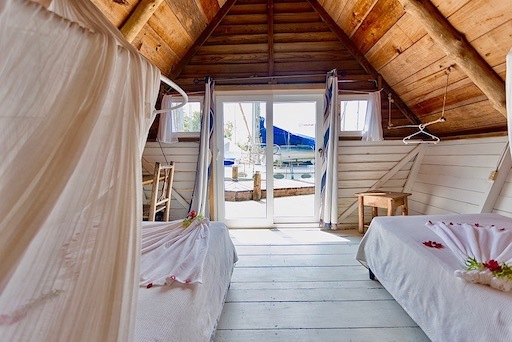 Upstairs there is a double bed and two bunkbeds and an optional additional single bed. 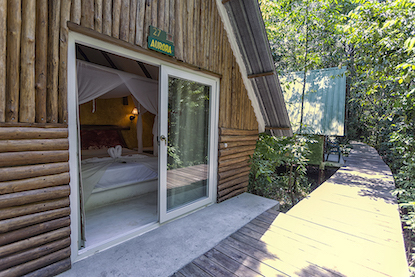 The bungalows have space for up to 7 people. 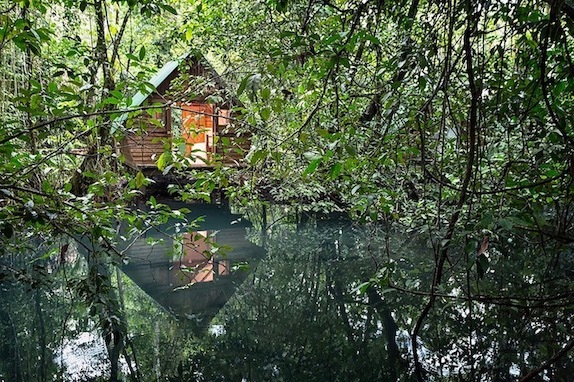 The hotel is one of the best we have stayed at. 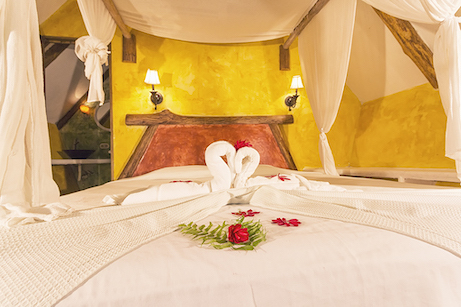 It felt exclusive and the facilities matched this most of the time.